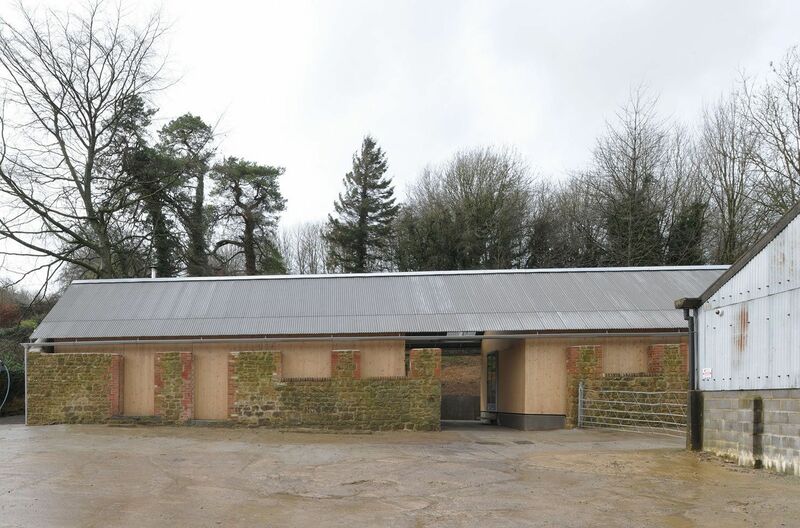 Located within the context of a working Somerset farmyard, the new building provides an office and store that houses the client’s architectural and family archives. 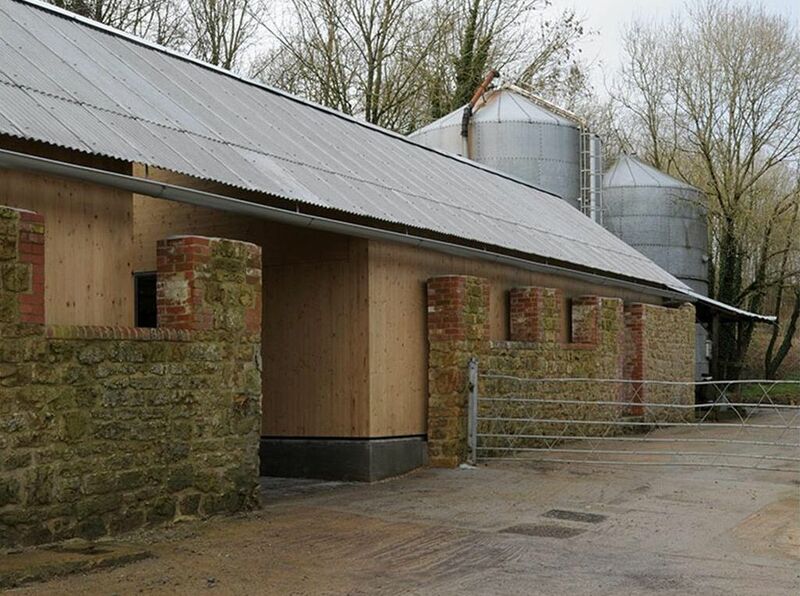 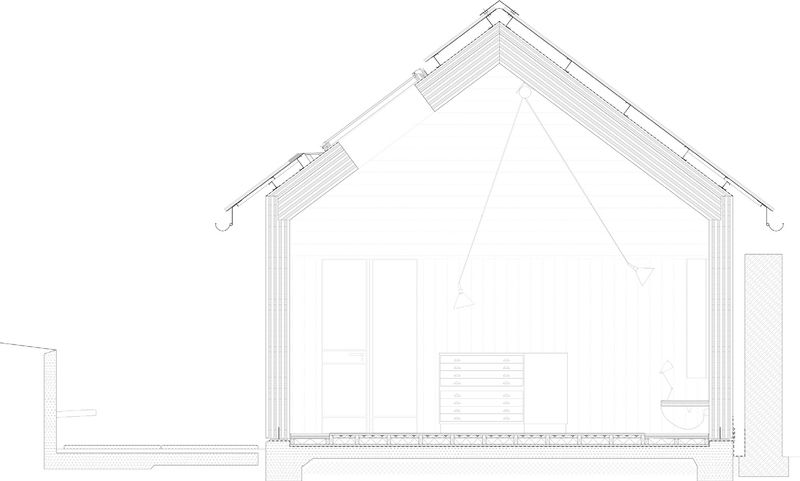 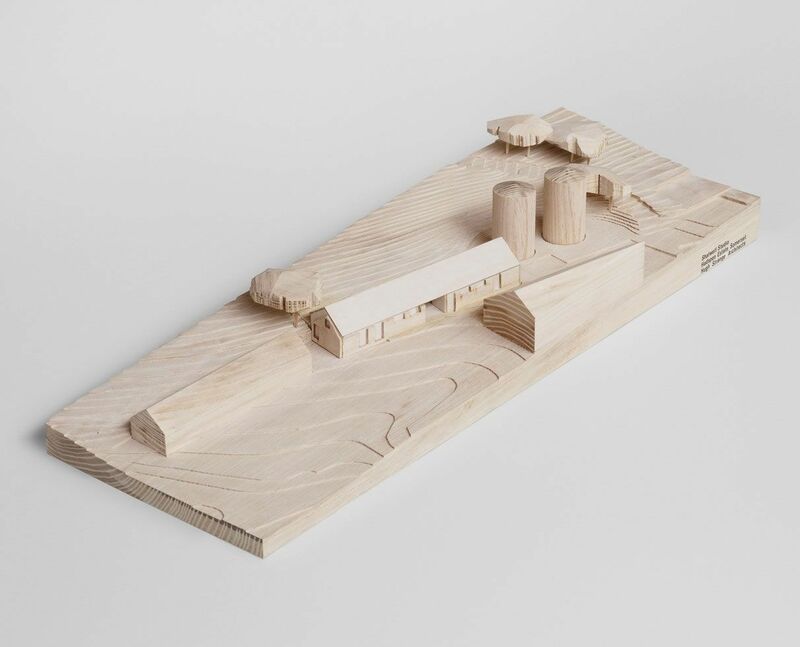 The project sits within an agricultural valley in a mix of buildings that includes a large farmhouse, a converted Dairy Cottage, a traditional wood store and a mix of barns and sheds that date from the 19th Century, through the 1970’s, to a recently completed cow shed. 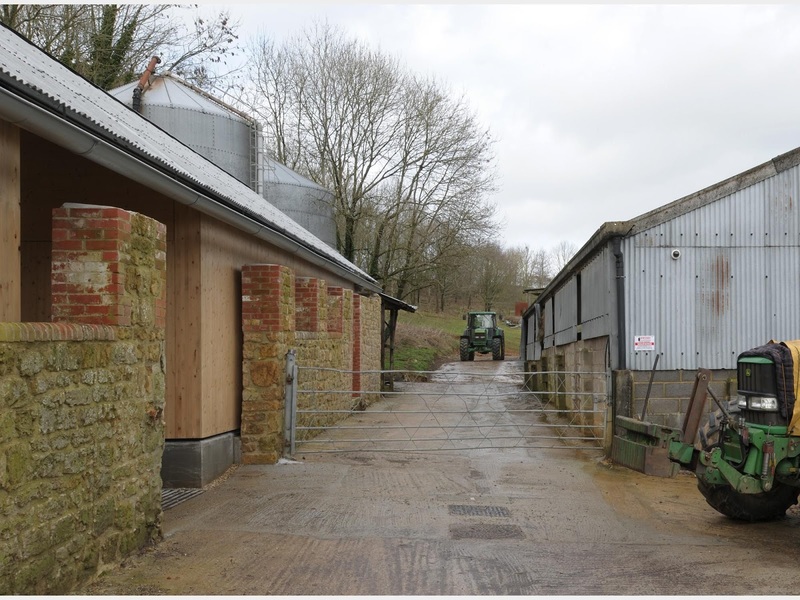 The dilapidated walls and roof of an old stone and brick barn have been removed and the remaining walls carefully stabilized and repaired. 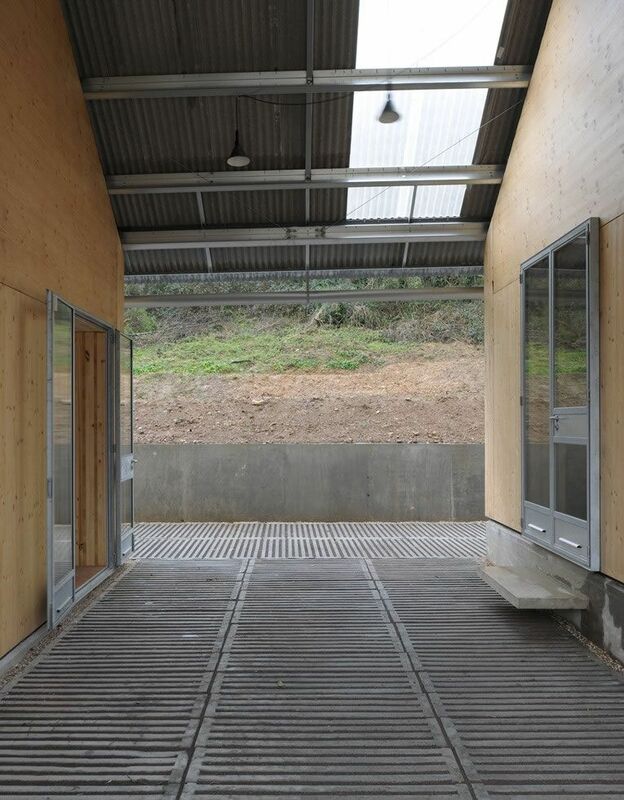 Within these walls two timber structures have been inserted with a single new roof over-sailing the whole composition and providing a covered entrance. 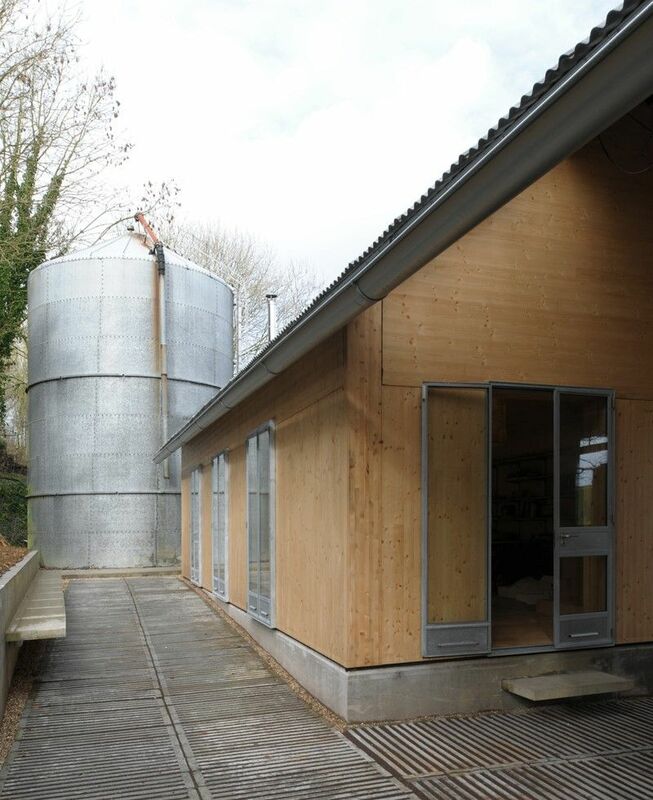 The two new timber buildings are identical in their volumes but subtly differentiated in their fenestration and fit-out. 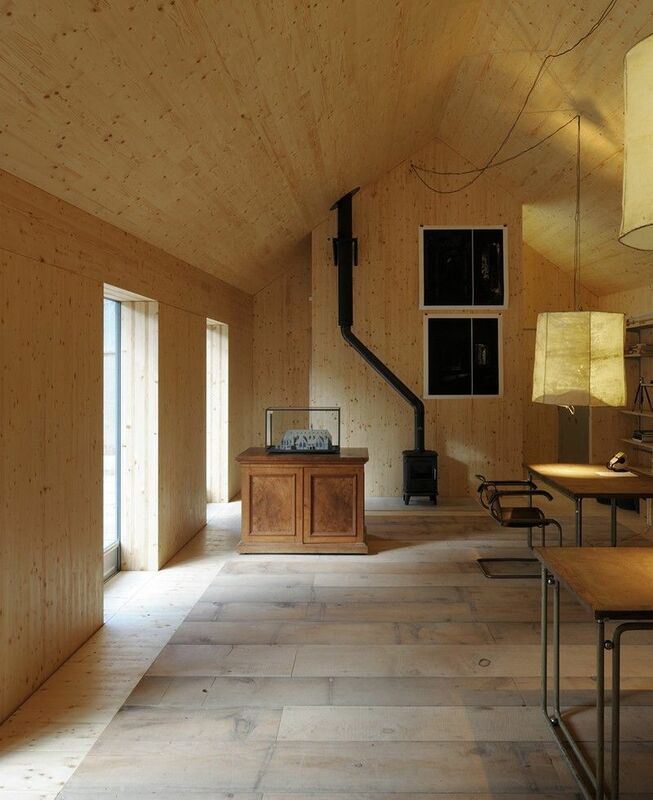 The south building provides a drawing archive and display space and is predominantly top lit by a generous roof light. 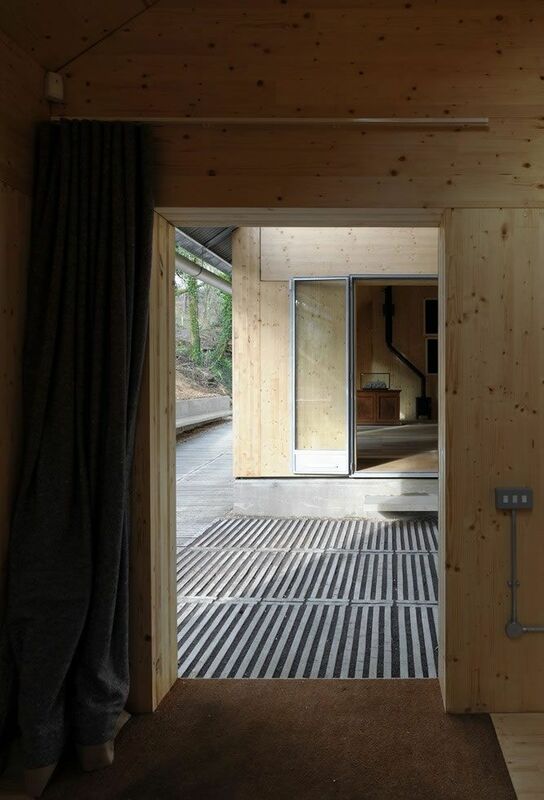 The North building provides an office space and is characterised by large French windows that offer views to the woods outside. 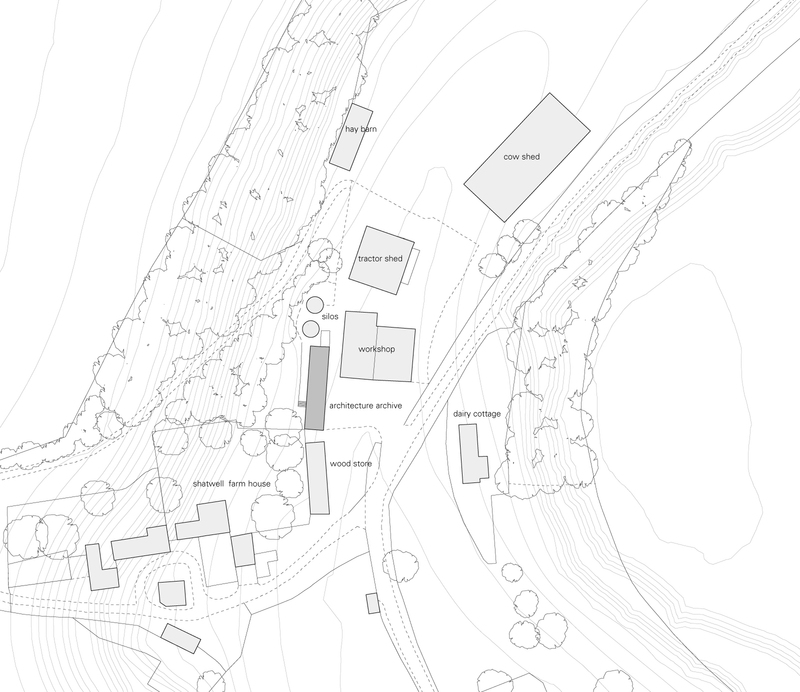 To the rear of the building a modest external space is provided, enclosed by the retaining wall to the sloping side of the valley, with a generous external stair providing access up to the surrounding woodlands. 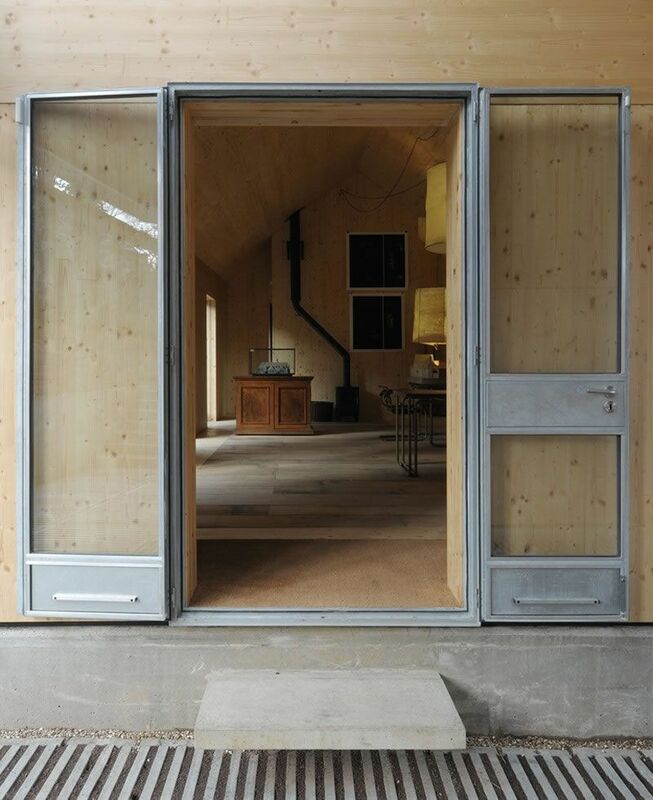 The new building shell is constructed of a single layer of solid wood without insulation, external cladding or internal lining. 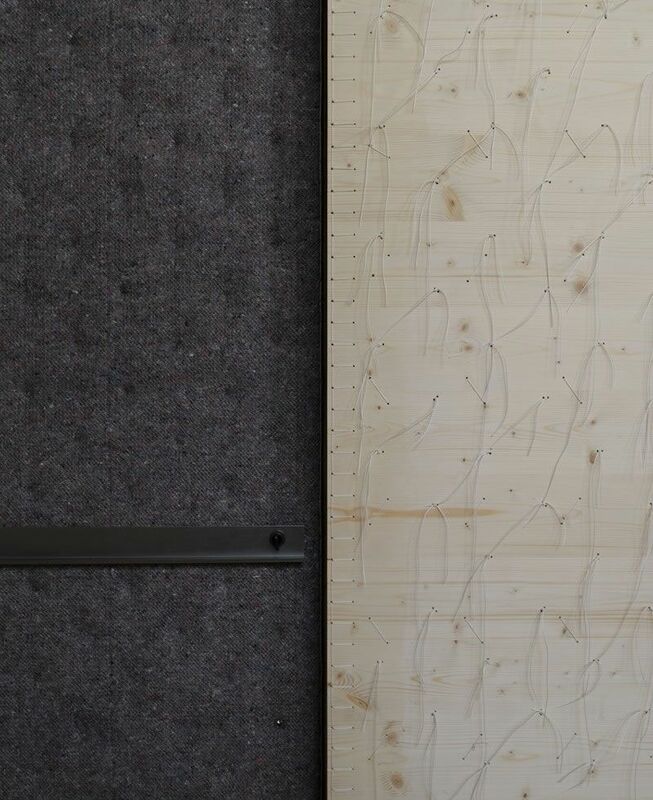 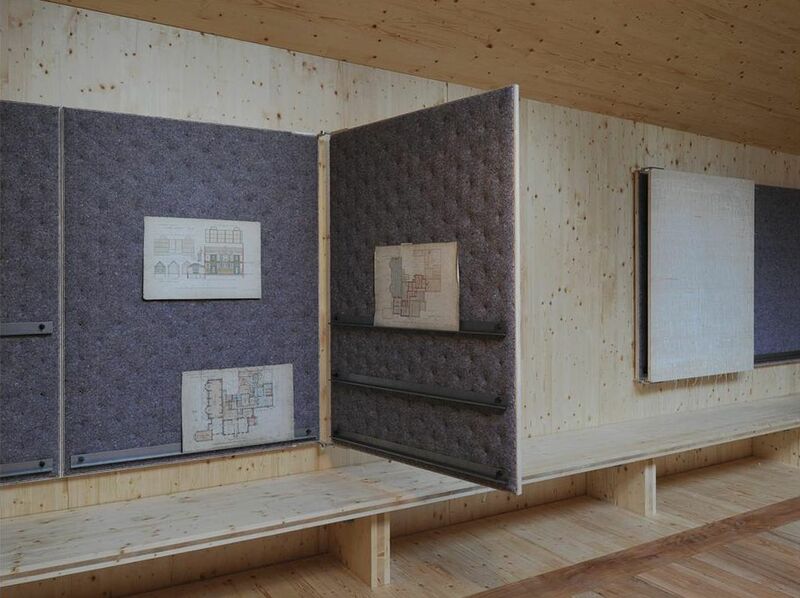 The Cross-Laminated Timber panels range from 300mm to 420mm in thickness and simultaneously provide insulation and thermal mass, creating a stable internal environment for the archive in terms of its temperature and relative humidity. 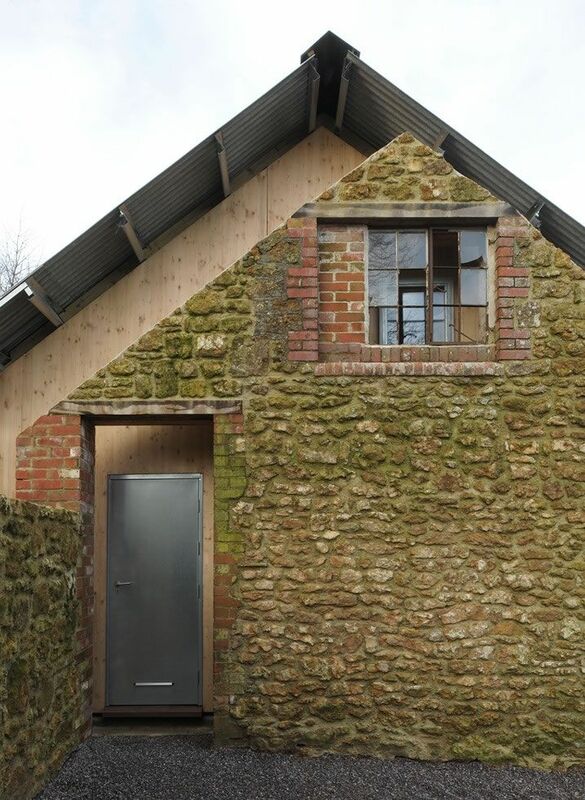 The simple timber forms sit on a rough in-situ cast concrete base and are protected by a profiled cement roof similar to those of the surrounding barns. 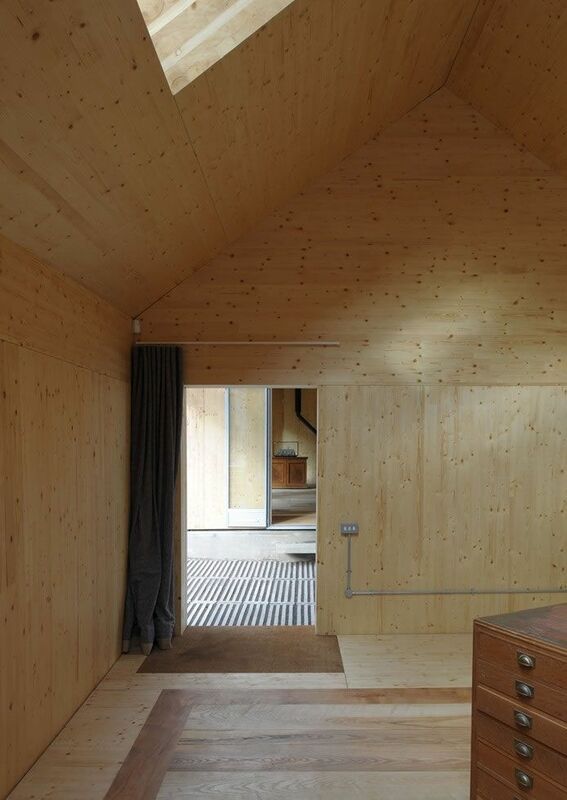 The vented space between the timber and the roof cladding prevents overheating during hot summer months. 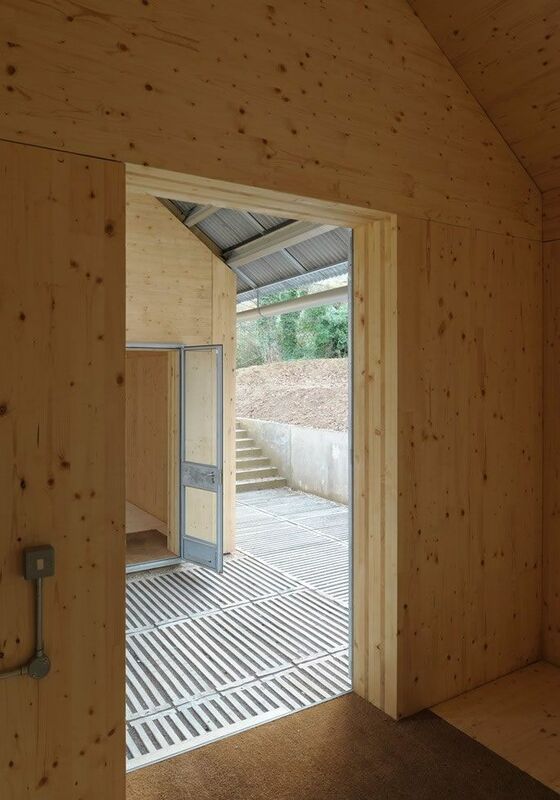 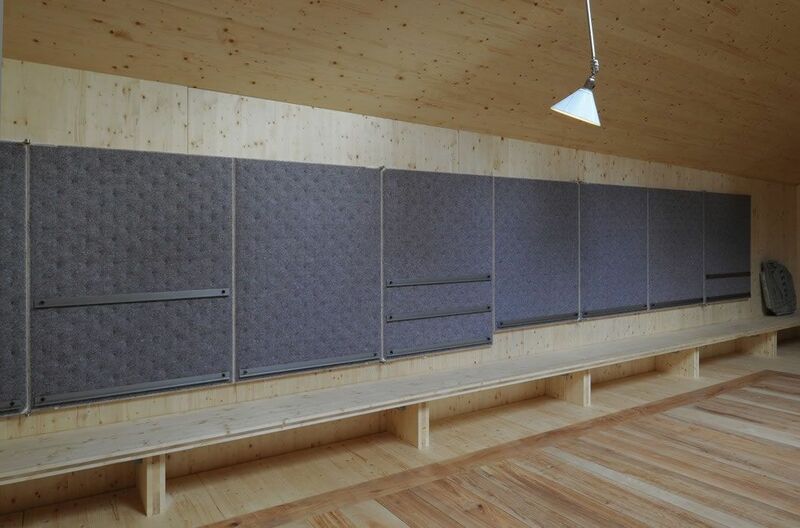 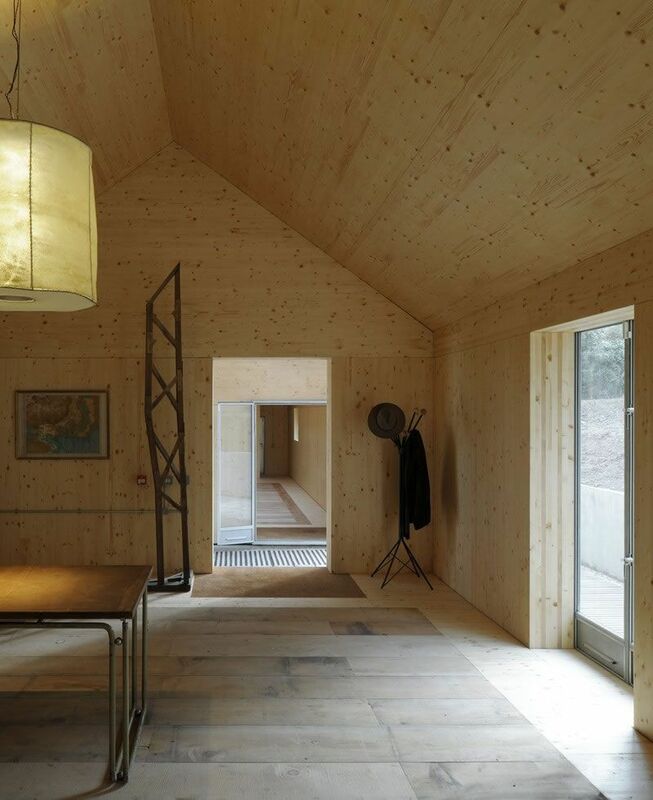 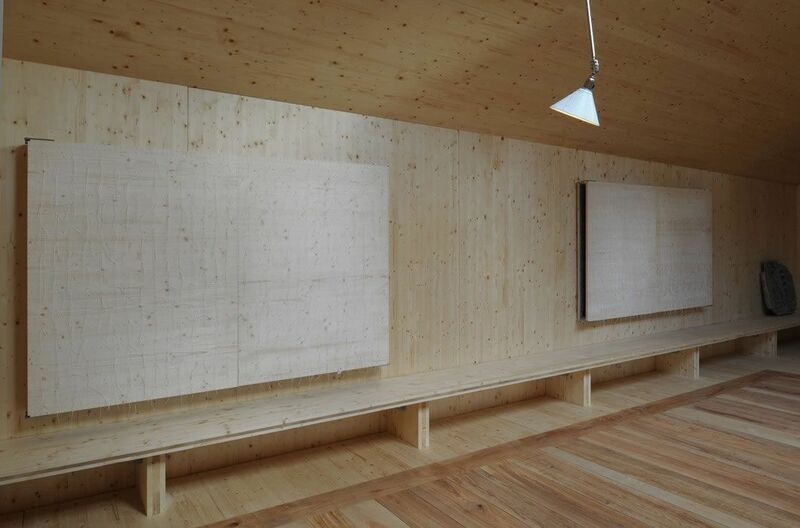 In contrast to the engineered Spruce construction, the buildings are fit-out with hardwood floor ‘mats’ using timber felled from the surrounding woodlands and dried in the neighbouring wood store. 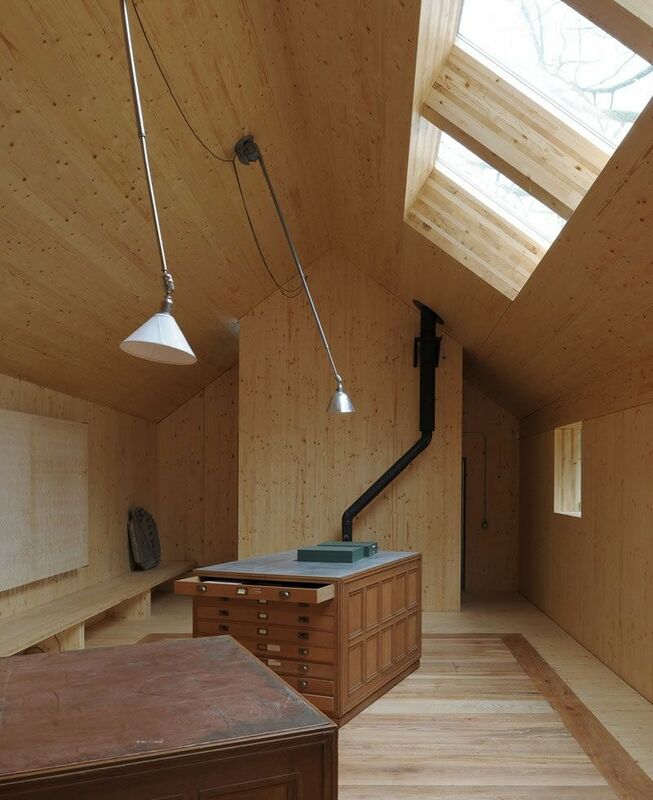 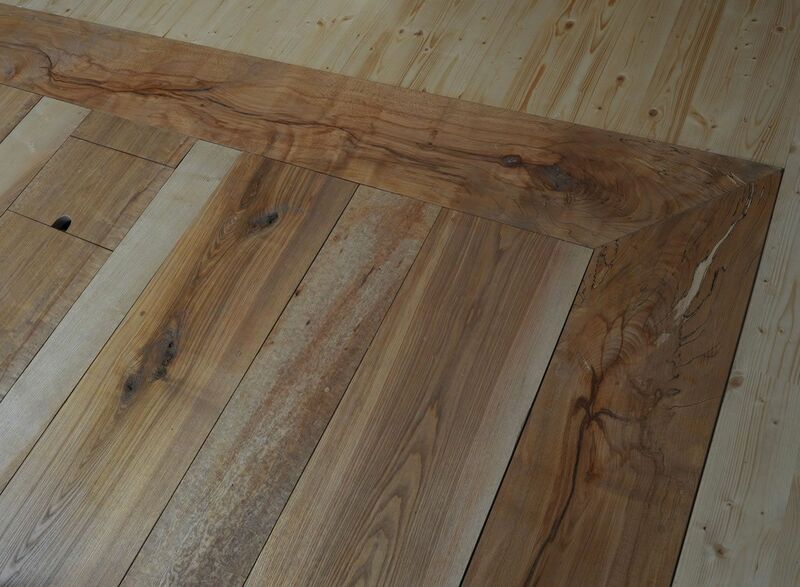 Rough-sawn Cedar floorboards to the office and smooth-sanded and oiled Ash and Beech to the archive distinguish the different characters of the spaces.